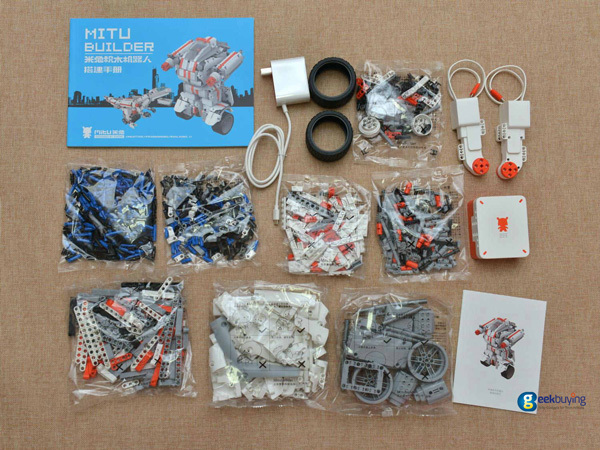 Today, we bring you our review of the Xiaomi Mi bunny building blocks robot. 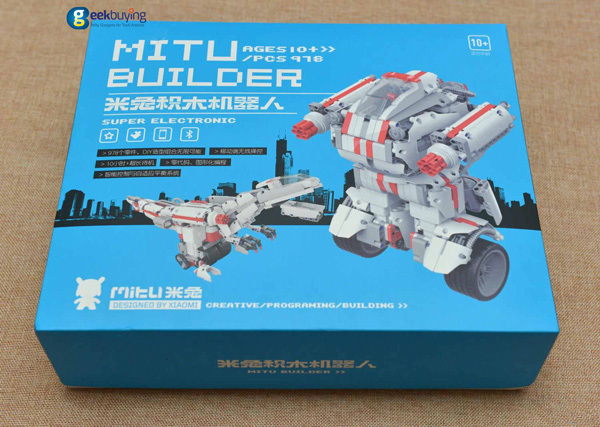 The Mi bunny robot comes in a big box, measuring 380*320*95 mm. 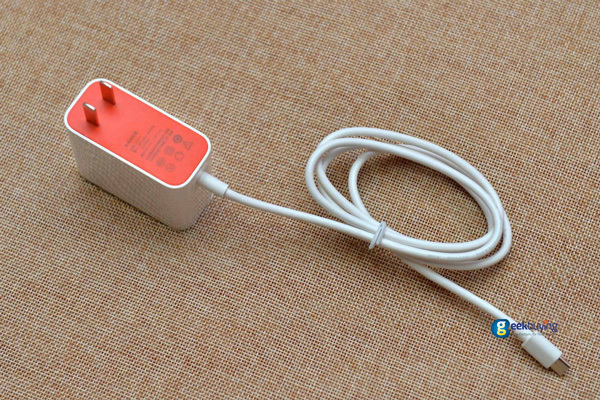 The product is manufactured by Xiaomi’s ecosystem partner Beijing IQI Technology company. The packaging consists of two layers. The master control and motors are placed in the upper layer while components, charger and user manual lie in the lower layer. All the components are sealed. The user manual introduced the name and method of use of each part. 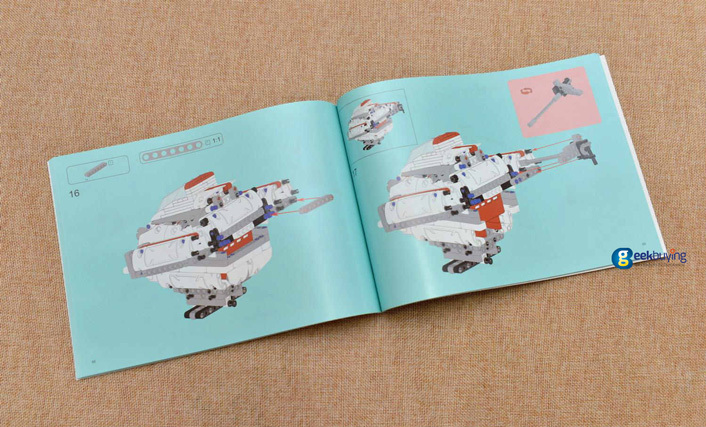 The building instructions booklet helps you assemble the Mitu robot. Both charging port and the master control port are Type-C port. There are 4 Type-C ports on the master control: A, B, C, D. The A and B port are motor port.The C and D port are expansion port. At the back side of the master control, there is a reset hole. 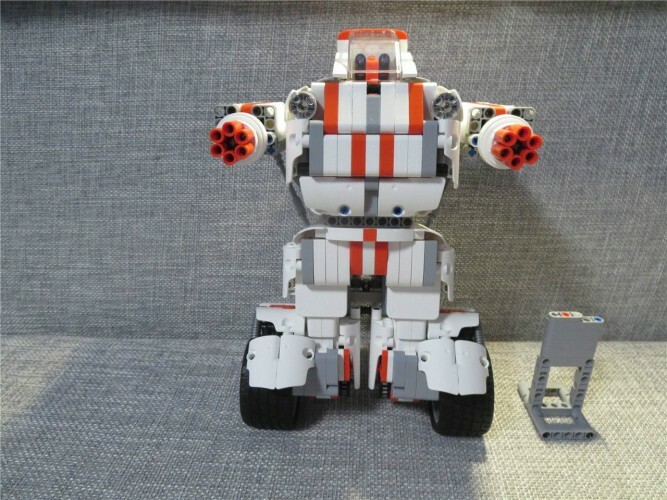 Mi Toy Blocks Robot is equipped with two powerful carbon brush motor, whose speed is up to 133 RPM, and its rotary torque can reach 24N/cm, the light code disc built in the motor can tell the speed and direction of a robot, which can control 1 degree accurately in output axis finally. 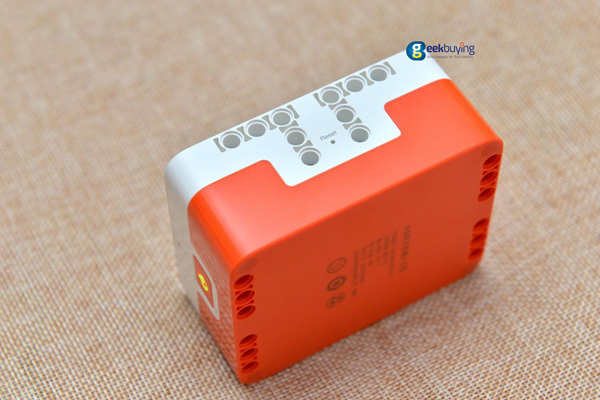 When crowding situation occurs, the motor can trigger the protection mode automatically, preventing burning due to too much current. The Mi bunny robot consists of 978 parts including gears, chains, and cardan shaft, etc. 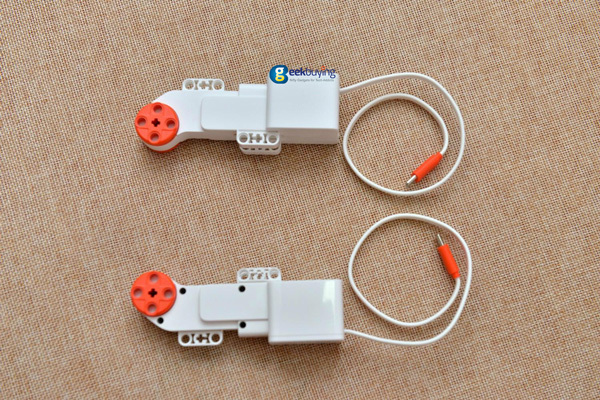 All parts are made from hypoallergenic polycarbonate and are easy to put together. 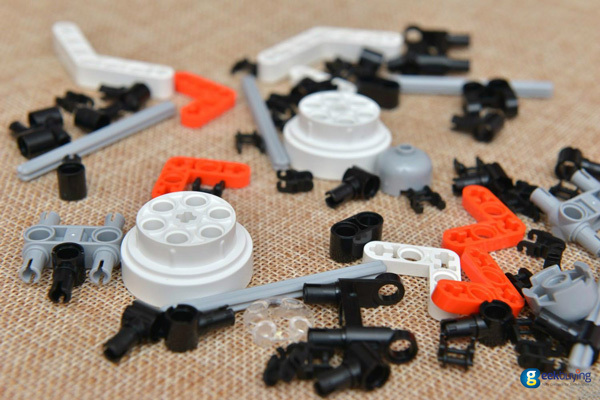 Users can follow their imagination to assemble a robot. 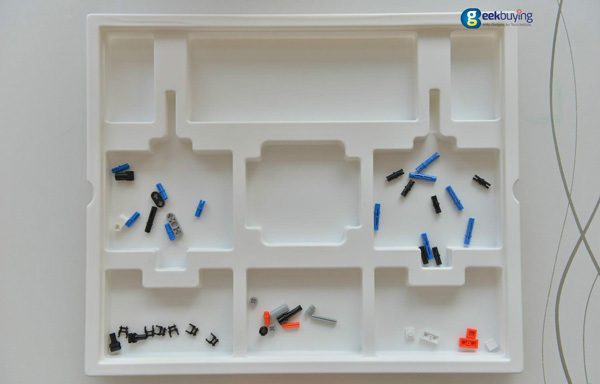 After finishing the assembly, there are some spare parts left. Those spare parts can come in handy if something is broken. 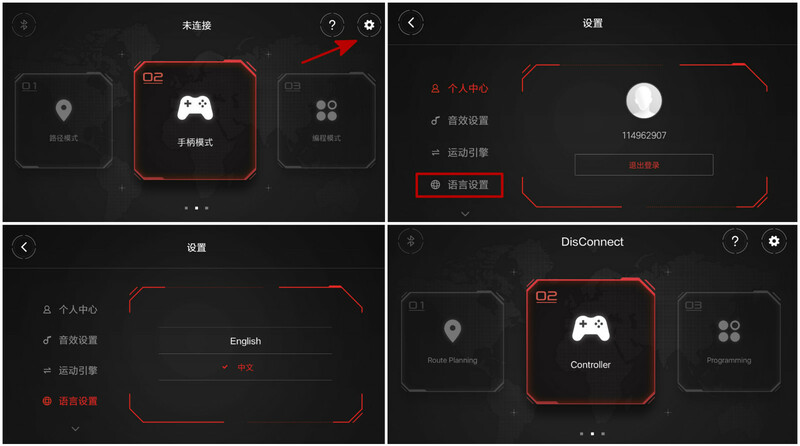 Three kinds of remote control mode: Joystick mode, gyro control mode, path mode. At the present stage, users can build MituBuilder and Rhydon two models through the build manual. The biggest bright spot of Mi bunny robot is programming mode. 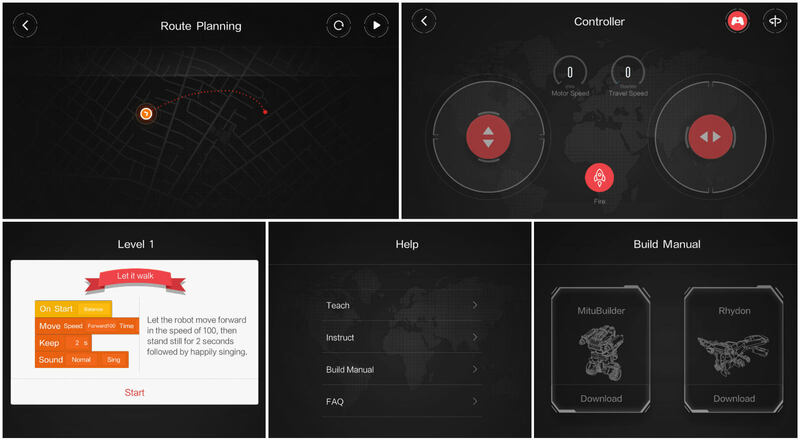 User creates a route for a robot to follow as with GPS. With a help of tutorials the user learns a unique graphical programming mode which enables to program a sequence of various moves and even teach the robot how to dance. 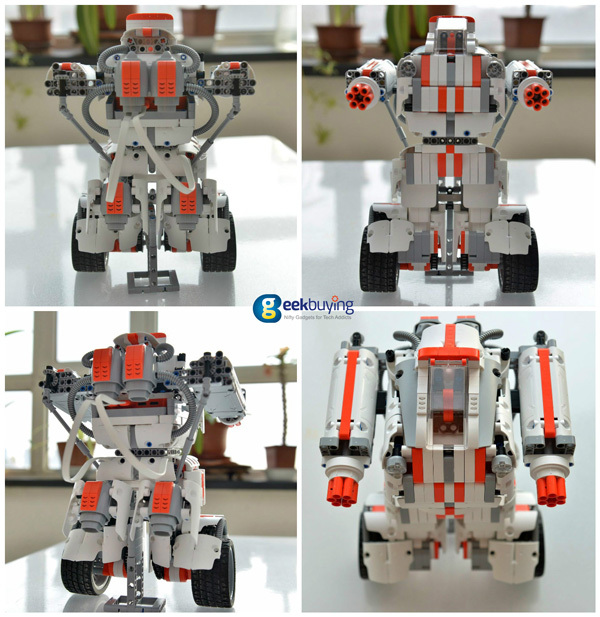 Overall, an awesome robot for child and even an adult to play with. You can click the following link to purchase one.